2019 Fifty year member of the State Bar of Michigan. 2018 First Tier ranking in Northern Michigan for Arbitration by U.S. News-Best Lawyers Best Law Firms in 2019. 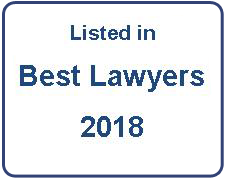 2018 Selected to the 2018 Michigan Super Lawyers list for alternative dispute resolution. 2018 The Best Lawyers of America 2019 for his work in arbitration. 2017-2018 Chair, Alternative Dispute Resolution Section, State Bar of Michigan. 2017 Selected to the 2017 Michigan Super Lawyers for alternative dispute resolution. 2017 The Best Lawyers of America 2018 for his work in arbitration. 2017- Arbitrator, National Mediation Board. 2017- Member, The National Academy of Distinguished Neutrals. 2016 Certificate, Institute of Continuing Legal Education Family Law Certificate Program cosponsored by the Family Law Section of the State Bar of Michigan. 2016-2017 Chair-Elect, Alternative Dispute Resolution Section, State Bar of Michigan. 2016 Selected to the 2016 Michigan Super Lawyers list for alternative dispute resolution. 2016 A Sidebar With Lee Hornberger, Michigan Lawyers Weekly (May 16, 2016). 2016 Wayne Law LL.M. Alumnus Serves as Arbitrator, Mediator, Hearing Officer, Detroit Legal News (April 26, 2016). 2016 Wayne Law LL.M. Alumnus Serves as Arbitrator, Mediator, Hearing Officer, Wayne Law (2016). 2015- Member, Professional Resolution Experts of Michigan (PREMi). 2015 Hero of ADR Award for exemplary contributions, Alternative Dispute Resolution Section, State Bar of Michigan. 2015-2016 Chair, Traverse City Human Rights Commission. 2014 George N. Bashara, Jr. Award for exemplary service, Alternative Dispute Resolution Section, State Bar of Michigan. 2013-2018 Editor, The Michigan Dispute Resolution Journal, Alternative Dispute Resolution Section, State Bar of Michigan. 2013 Coach, Domestic Relations Mediator Training Program, Conflict Resolution Services. 2013- Member, Alternative Dispute Resolution Section Council, State Bar of Michigan. 2013- United Mine Workers of America and Bituminous Coal Operators' Association panel of arbitrators. 2012 American Arbitration Association How to Become a More Innovative Neutral Training. 2012-2018 Chair, Alternative Dispute Resolution Committee, Grand Traverse-Leelanau-Antrim Bar Association. 2012-14 Vice-Chair, Traverse City Human Rights Commission. 2011- Roster of Arbitrators, Federal Mediation and Conciliation Service. 2010 Featured Speaker on Ethics in Mediation, Community Mediation Services Annual Dinner and Awards Ceremony. 2010-2016 Member, Representative Assembly, State Bar of Michigan. 2010 Coach, Domestic Relations Mediator Training Program, Conflict Resolution Services. 2010- Chair, Probate Court Judicial Liaison Committee, Grand Traverse-Leelanau-Antrim Bar Association. 2009-10 Chair, Family Division Circuit Court Liaison Committee, Grand Traverse-Leelanau-Antrim Bar Association. 2009 Certificate of Appreciation, Community Mediation Services. 2009 "Pinnacle Award," Conflict Resolution Services. 2009- Arbitrator, Michigan Employment Relations Commission. 2009-16 Member, Traverse City Human Rights Commission. 2009- Hearing Referee, Michigan Civil Rights Commission. 2009 "Northern Michigan's A-List" of Attorneys, Traverse: Northern Michigan's Magazine (January 2009). 2008-10 Mediator, Financial Industry Regulatory Authority. 2008 Contributor, Defusing Workplace Time-Bombs: Drafting Employment Agreements and Policies to Prevent Disputes, Avoid Tax Traps, and Settle Cases (American Law Institute-American Bar Association 2008). 2008-09 Immediate Past President, Grand Traverse-Leelanau-Antrim Bar Association. 2007 Certificate, Institute of Continuing Legal Education Family Law Certificate Program cosponsored by the Family Law Section of the State Bar of Michigan. 2007-16 Member, Grand Traverse County Board of Canvassers. 2007 American Arbitration Association Labor Arbitrator II Training: Advanced Case Management, New York, New York. 2007-08 President, Grand Traverse-Leelanau-Antrim Bar Association. 2007 NASD Dispute Resolution, Arbitration Chairperson Training. 2007 Chair, Law Day Student Essay Contest, Grand Traverse-Leelanau-Antrim Bar Association. 2006 Federal Mediation and Conciliation Service, Labor Arbitrator Training, Charleston, South Carolina. 2006 New York Stock Exchange, Securities Arbitrator Training, Southfield, Michigan. 2006-07 President-Elect, Grand Traverse-Leelanau-Antrim Bar Association. 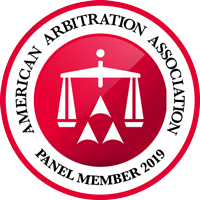 2006 American Arbitration Association, Labor Arbitrator Training. 2006 Chair, Law Day Student Essay Contest, Grand Traverse-Leelanau-Antrim Bar Association. 2005- Administrative Hearing Officer, Grand Traverse Band of Ottawa and Chippewa Indians. 2005 Domestic Relations Mediation Training, Mediation Training and Consultation Institute, Ann Arbor, Michigan. 2005-06 Treasurer, Grand Traverse-Leelanau-Antrim Bar Association. 2005 Straus Institute for Dispute Resolution at Pepperdine University School of Law, Specialized Mediation: Handling Difficult Employment, Medical Malpractice and Personal Injury Cases, Malibu, California. 2005 Chair, Law Day, Grand Traverse-Leelanau-Antrim Bar Association. 2004 American Arbitration Association, Arbitrator II - Advanced Case Management Training, Southfield, Michigan. 2004-05 Board of Governors, Grand Traverse-Leelanau-Antrim Bar Association. 2004 Co-Chair, Law Day, Grand Traverse-Leelanau-Antrim Bar Association. 2004 American Arbitration Association, Arbitrator Training, San Antonio, Texas. 1995 "56 of the Town's Top Attorneys," Cincinnati Magazine," November, 1995.